Back in July, it became known that Windows Phone 7.5, codenamed ‘Mango’, had been finalized. Shortly after, the factory version of Mango leaked into the wild, yet it included none of the customizations provided by device makers, such as HTC. If you own an HTC 7 Mozart and have been desperately waiting for Mango, you might be happy to know that a customized Mango firmware has unexpectedly been leaked into the wild, tailored specifically for the HTC 7 Mozart. While the unmodified version of Mango, which leaked last month, works perfectly on most devices, it doesn’t include device-specific software some users might be used to. Thankfully, a firmware made specifically for the HTC 7 Mozart, has reached the Internet: this one includes HTC’s very own custom software, which doesn’t come built into Mango by default. 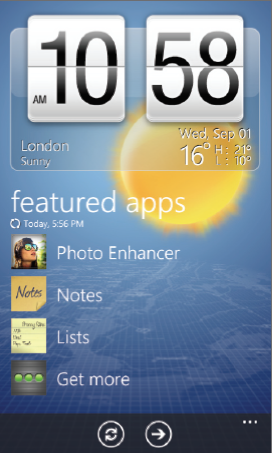 HTC Hub, for example, is a collection of small utilities such as Weather, Stocks and even a small notebook. This new leaked build will likely be rolled out in an official capacity onto all HTC 7 Mozart phones later this year, but until then users who wish to get Mango must obtain it manually. In order to do that, simply download the file, extract it, change its extension to .exe and run it. For download information, detailed troubleshooting and discussion, check out this forum thread. Since this is an unreleased firmware, make sure you’re aware of its risks. In addition to not being officially supported by HTC or Microsoft, forcibly updating your device could render it unusable, perhaps even irreversible. You’re advised to proceed with caution, and only if you have a basic understanding of how Windows Phone and your device operate. Some users have also reported that GPS functionality was broken in this update, therefore there’s the real possibility that this might not be the final shipping build of HTC’s customized firmware. 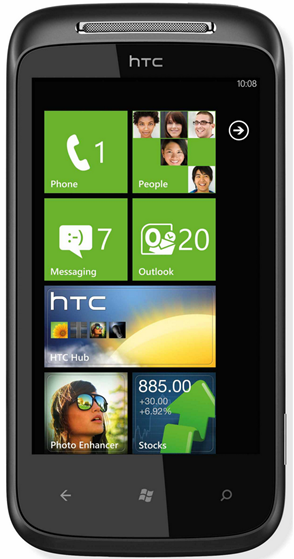 Windows Phone 7.5, known as Mango, is the newest major release of Microsoft’s new mobile operating system. Building on the strengths of Windows Phone 7, Mango includes many long wished-for improvements, namely multitasking, enhanced social networking features such as the ability to “check in” at places on Facebook Places, an enhanced Camera application and support for Zune SmartDJ. Mango was first showed off quite in depth this past May and will begin shipping in new Windows Phone handsets, and will gradually be rolled out to all current Windows Phone 7 devices.